MAYBE THE 8.5 FOLD PATH? The Eightfold Path is the way to alleviation of suffering that has been part of Buddhist practice for a long, long time. Three of those pathways lead to ethical character and moral action: right speech, right action, right livelihood. Some skillful re-description reveals that something is missing. Here is a jataka tale of the future Buddha. Find the lesson. Alex is angry. He applied for more than a dozen colleges and got accepted by none. Behind a desk his high school guidance counselor sits patiently and listens to the young man’s incredulous raving. The counselor reminds himself that this isn’t the first time a prospective college student held a fundamental misunderstanding of what a successful application process required. The guidance counselor, Mr. Whitman listens. “So, there were differences. Set aside the similarities between you and your brother. Focus on the differences.” Mr. Whitman sits back in his chair and waits. What Alex sees is a page of questions about extracurricular and volunteer activities. The brothers participated in many of the same activities connected with the school; it is in the category of volunteer activities and interests outside of school that Wade’s application is much different. Wade had taken on two internships during junior and senior year. He’d volunteered on some weekends for organizations that helped the less fortunate such as a food bank and a nursing home. Alex gave Wade a hard time about not having much time for his friends, not much time to party. In school the brothers did engage in similar activities, it was when they were not at school that things were different. Mr. Whitman nods and remember how many times in Alex’s sophomore and junior years he had highlighted the issue that Alex was just then coming to a full realization of. The moral is: Right livelihood should be in equanimity with right life-lihood. Livelihood as it is an aspect of the Eightfold Path is one of the ways, along with speech and action, to develop wholesome ethical character and engage in wholesome moral choices. Viewing high school as a metaphor for a job, then like a job it could reasonably be called a livelihood. With this view the college application process reveals that what a person does outside of work has equal value. To the traditional Buddhist philosophical ideal of appropriate livelihood the contemporary practitioner can add the ideal of life-lihood, what the practitioner does when they are not on the job. Live- and life-lihoods are both critical in developing wholesome ethical character and moral action. Life-lihood is the time you aren’t working at your job or career. It is when you are engaging daily life with family and friends, pursuing a hobby, volunteering with an organization, or just relaxing. Life-lihood must also be appropriate. Gaining an appropriate view of Life-lihood requires a practitioner to take a rigorously self-honest look at what activities they choose to pursue when not at work. Like how the extracurricular questions on a college acceptance application are answered result in a particular karmic consequence, so to does the answer to what a practitioner does when not at work have particular karmic consequences. This doesn’t mean that a life-lihood can’t be fun. Absence of fun is not a requisite for good karmic consequences. A life-lihood that promotes harmony, health and happiness (human flourishing) is a requisite for good karmic consequences. What life-lihoods do you engage in? Now is the moment to engage in some rigorous self-honesty. There is a long running post titled “Buddhists Eat Meat” on this site. It has been read by hundreds and commented on by some. The comments are generally directed toward defending the commenter’s point of view and lots of talk is about compassion, specifically compassion for animals. The need to defend is not helpful; the talk about compassion is. In fact the comments present cogent defenses of a variety of views on the subject. There are also moments of critically judging the views, knowledge and decisions of others. Two statements are made often, seemingly with the intent to shame an omnivorous Buddhist. One is that in this contemporary society it is easier to be a vegan or vegetarian because there are more choices and access to information. The other that animals suffer greatly on factory farms with the subtext being that one who is omnivorous is less compassionate. Neither is a ‘truth’ in all situations. The intent of the lesson “Buddhists Eat Meat” was not so readers would question the choices of other Buddhists. It was offered so that readers would question their own practice, their own choices, and their own reactions to difficult subjects. There is a need to engage rigorous self-honesty rather than engage in judging the views and actions of others. There are other aspects of human existence that require the same level of scrutiny given to dietary choices. Choosing what clothes to buy and wear for example. Others include what car to drive and how much to drive it, limiting carbon footprint, and what livelihood to engage in. Every choice made has cause and effect, wholesome and unwholesome. Every Buddhist practitioner must apply rigorous self-honesty in order to make pragmatic choices. How aware are you of the clothes you wear? From the underwear to the hat there are choices to be made. Ask yourself these questions. Where were my clothes manufactured? How were the raw materials sourced? Who are the people and other sentient beings involved in the manufacturing, delivery and selling process? What are the conditions those people live and work in? What impact does the purchasing of your clothes have on the suffering of others? How much energy, effort and awareness do you apply to your choice of clothes? How compassionate is your choice? My intent is not to single out omnivores or herbivores in the Buddhist community. The intent is to use the issue to offer that wholesome intentions and acts of compassion arise in different ways and that equanimity or balance should always be in favor of promoting compassion and human flourishing. Every item we purchase and consume has its wholesome and unwholesome aspects. Many American companies out-source their manufacturing to places where wages can be well below subsistence level, where working conditions can be way below American standards, and child labor is legal. The items are sold by companies that engage in dubious personnel, pricing and social activities here in America. Not to focus on only the unwholesome, there are many American companies that strive to do what is right to the extent they are able. There are choices between low cost products manufactured under conditions of suffering and higher cost products that meet certain “standards” like a Made in the USA tag or are imported through organizations that promote fair trade. A Buddhist practitioner has flaws and strengths like any other human being. The goal for a Buddhist is to have equanimity in practice; a balance that is always tipped more to the wholesome than the unwholesome. No matter the choice a practitioner must always honor life in some way. Buddhism in the West must find a way to skillfully harness the power of the individualistic view and action of those who choose the Noble Path. In each person is a reservoir of imagination, skills, gifts, compassion and the Buddha-element. These are reservoirs that can be tapped for the benefit of all. Their attitude might begin with the ideal of what’s in it for me. What does Buddhist philosophy and practice offer that will improve my situation? Each practitioner must be guided to the gradual realization that while expression is unique, suffering in some form is not. Awareness of the effects of the practitioners intent and action beyond themselves must be developed and nurtured so the realization that whatever the thought or action there are causal consequences. 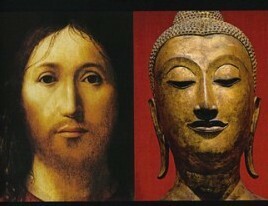 There are practitioners who view Judeo/Christian beliefs as the cultural aspect of the West that Buddhism must come to terms with. In the West it is the dominant religious and social framework, especially in America. However, there is a prevailing psychological phenomena endemic to the majority of Americans regardless of religious or secular identity. Individualism. 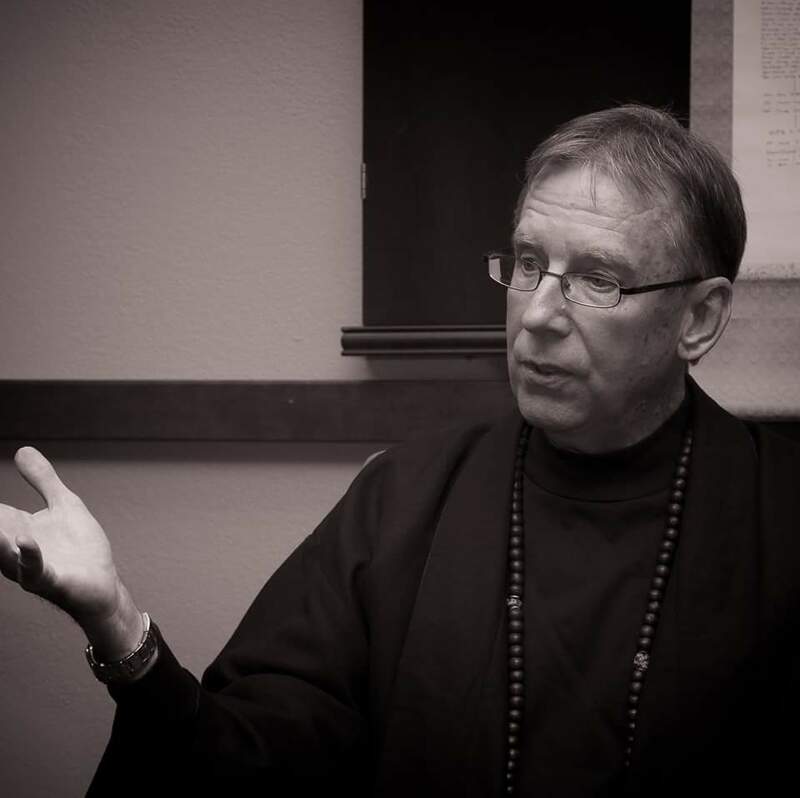 Finding skillful means of transforming perceptions of “what’s in it for me” to “what’s in it for all beings” is a major challenge for Western Buddhists. We must first come to an understanding of individualism as a moral view and a social view common in the West. People who hold this worldview believe that the interests, wants and needs of the individual should come before that of any government or group. They resist all attempts by society or groups to interfere with their individual goals. The results of their individual actions might have some benefit to others but it is not their intention. Means of transforming individualism to an individual aware of the discontent, unsatisfactoriness and anguish of others and themselves equally, transforming individualism to an individual mindful of their own discontent, unsatisfactoriness and anguish. In the Raga-vinaya Sutta: The Subduing of Passion (Anguttara Nikaya), the Buddha describes four types of individuals. There is one who practices only for their own benefit, one who practices only for the benefit of others, one who practices neither for their own benefit or the benefit of others, and one who practice for both their own benefit and that of others. The individualist tendency in the West is the first one described. 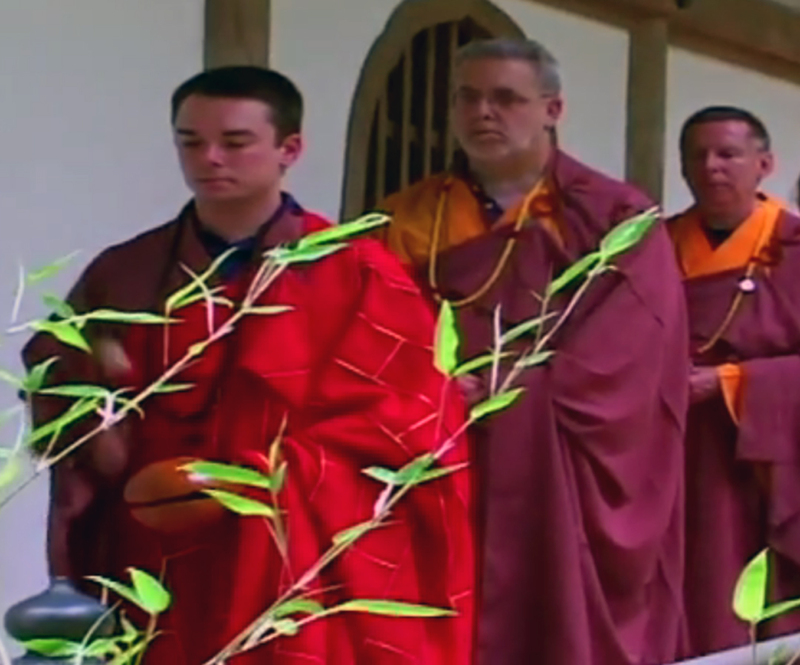 That tendency is often what brings a Westerner to the practice of Buddhism, some want or need they hope that Buddhism can provide for them. The Buddha was clear that a Buddhist practice begins with development of the individual. He was equally clear that it must not end there. Skillful means must be found to lead the practitioner along a path to the fourth type of individual, one who practices for the benefit of self and others. 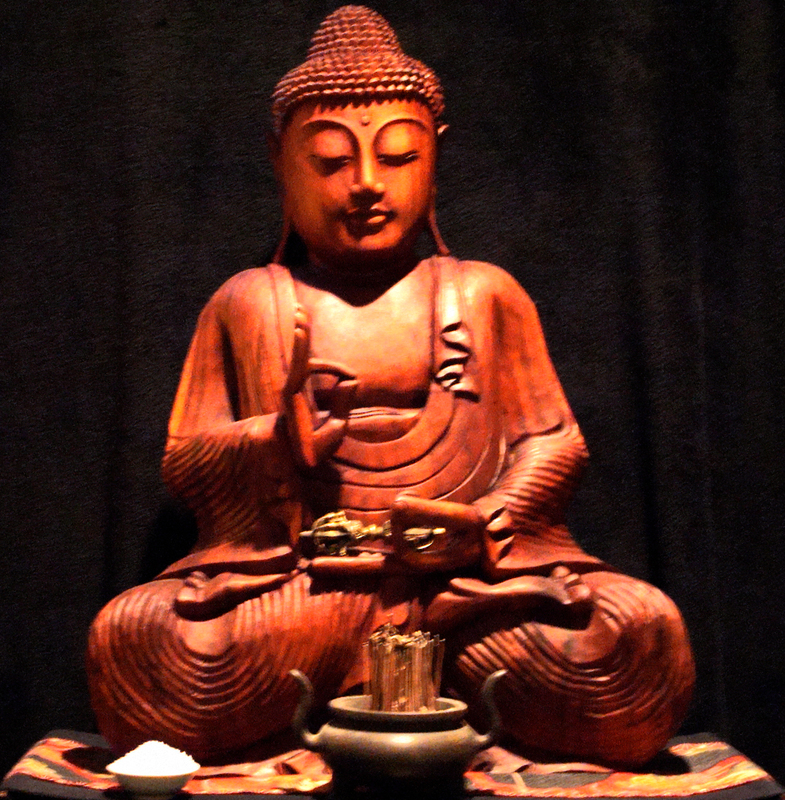 The lesson in the Lekha Sutta: Inscriptions (Anguttara Nikaya) offers a glimpse of that path. It describes three types of individuals based on their perceptions of their ability to transform. There is the individual that is like an inscription on rock, one that is like an inscription in soil, and one like an inscription in water. Each can be viewed as metaphor for the stages of bodymind in Buddhist practice. An individualistic worldview combines the first type of person in each sutta. They will practice for only for their own benefit believing that like an inscription in rock their worldview is permanent. They hold to the ‘what’s in it for me’ mode of thinking and acting. Initially Buddhist practice can seem to verify this view. Emphasis is on personal transformation that begins with how that practice can improve the state of the individual bodymind. One learns to sit in meditation among a sangha, yet the bulk of that practice is done at home, alone, individually. One learns that emotions and habitual reactivities that plague the bodymind are transient phenomena, a view that the individual must come to realize. For a ‘what’s in it for me’ state of bodymind the serenity, the equanimity and the sense of personal accomplishment are enough, just what they were looking for. It is written in stone. Siddhartha began his journey of personal spiritual transformation with the goal of understanding the forms of suffering he witnessed but never experienced. Prior to his achieving awareness of the plight of some human beings he was like an inscription in stone. In accordance with Hindu beliefs his personal and social actions were taken that would positively affect his rebirth. When he chose to leave his wife and child behind, to seek answers, he did so for his own benefit. The next two types of individual present a danger to the bodymind and the view of an inscription in soil is a skillful way of getting beyond that danger. The view and action of one who practices only for the benefit of others misses entirely a critical aspect of Buddhism. The Buddha teaches that only with equanimity of focus on self and others can the value of the dharma be experienced. The person who practices neither for their own benefit or the benefit of others is going through the motions of being a Buddhist without any intent to engage the dharma in themselves or the world around them. My nephew is an example of an individual who practices neither for himself or for others. 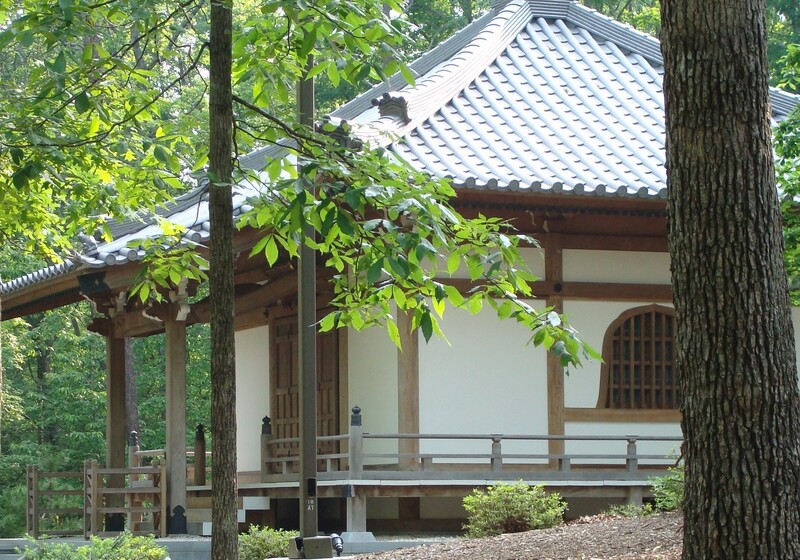 He labels himself a Buddhist on forms for the United States Military because it allows him avoid particular requirements put on people of other faiths. These views can seem to written in stone. In time and with effort any stone can be turned into soil. Buddhists are farmers and soil is where the unwholesome views and actions are weeded out and wholesome seeds planted and nurtured. Unwholesome views that are inscribed in a bodymind of soil can be transformed as the wind and water of the dharma wear them away allowing the planted seeds of appropriate view and intent to grow. The fourth type of individual offered in the Raga-vinaya Sutta is the bodhisattva-in-training ideal, one who practices for the benefit of self and others. An individual that is like an inscription on water is most capable of reaching this view and intent, and taking the actions that arise as a result. They experience the current of the dharma from individualistic intent, to social intent, flow around the obstruction of neither self or social intent, to the realization that the dharma, when applied equally to self and other has its greatest value in the promotion of human flourishing. Siddhartha transformed from one who practiced for their own benefit to one who practiced for the benefit of self and other. He awakened and stood up under the branches of the bodhi tree it is said he doubted his ability to teach others what he had come to realize as a Middle Path that could relieve the suffering of human beings. Siddhartha hesitated, and for that moment he was still practicing for himself. In the next moment he made the decision to try and transformed into one who would practice for self and others. It takes skillful means to guide an individualistic Westerner along a path that not only accepts the benefit of the dharma to the individual but encourages it . . . in the beginning of practice, to the realization that practice of dharma is most valuable when equally engaged in service of the individual and society as that practice matures. This skillful means cannot just be the efforts and mentoring of a teacher. It must also arise in the thoughts and actions of the practitioner. To develop a mature Buddhist practice it takes both external and internal skillful means or one may find themselves inscribed in rock and fail to engaged the opportunities of soil and water to grow wholesome dispositions and habits. Pragmatism is not a modern phenomena. It is a multi-layered philosophical concept with Charles Sandford Pierce and William James as its roots, and the growth of the Neo-pragmatist ideas of Richard Rorty as its branch into contemporary thought and action. There is thee realization that pragmatism did not begin with Pierce’s labeling it, that other philosophers and teachers practiced it before it was named. Big names like Socrates, Aristotle and Hume . . . and Siddhartha engaged the pragmatic method. It was a method of thought without a label. It was agreed by all that the man does go round the tree. The squirrel is on the tree. Does the man go round the squirrel, or only around the tree? Opinions were equally split. His friends looked to him to break the tie. James’ response began with, “Which party is right depends on what you practically mean by ‘going round’ the squirrel.” He went on to illustrate. One view is of the man moving north to east to south to west, and then north again as the squirrel circles the tree south to west to north to east, and then south again. In this the man is going around. A view that going around the squirrel means to first be in front of, to the right of, behind, to the left of, and finally in front again means that the man did not go round the animal because as it circles the tree it’s belly is always toward the man. The answer lies in the practical perception of the concept of going around. This is James’ example of the pragmatic method. The pragmatic method, when applied to Buddhist philosophy and practice is to view each purposed thought through a lens of its probably causal consequences. James’ focus for the pragmatic method was its application to philosophical disputes. He experienced that those disputes became insignificant the moment they were subjected to the simple act of tracing the possible concrete consequences. Siddhartha engaged the pragmatic method whenever he remained silent regarding metaphysical questions. The realization that any answer would be theoretical meant it would have no practical value in moment-to-moment engagement with the world. 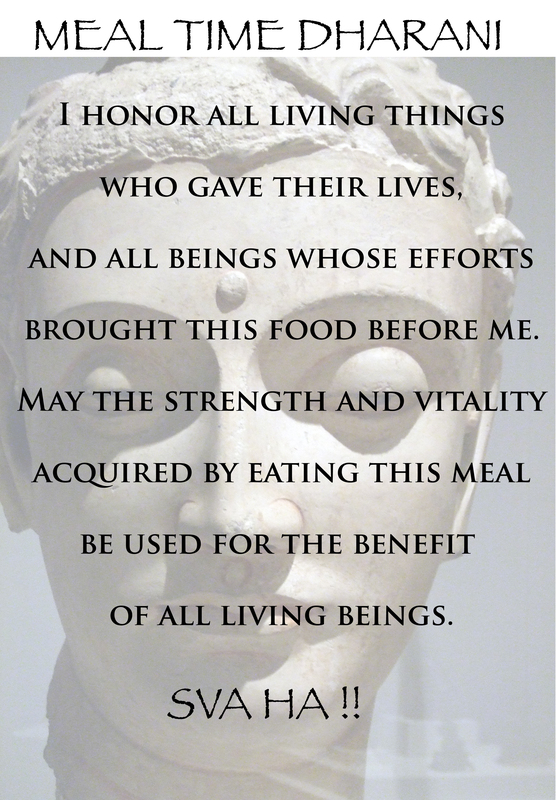 Siddhartha practiced pragmatism. He set aside the habitual reactivities of the Hindu faith and beliefs of his culture. He set aside any metaphysical questions, dogmatic principles, the closed caste system, the concept of absolutes, and the search for how it all began. Instead he turned toward what thoughts and actions could make a positive concrete difference in how human beings engaged themselves and the world around them. He applied the pragmatic method to action, not only to thought. The pragmatic method arises in the traditional parable of the “The Monks at the River”. A senior monk and a junior monk were traveling together. At one point, they came to a river with a strong current. As the monks were preparing to cross the river, they saw a very young and beautiful woman also attempting to cross. The young woman asked if they could help her. The senior monk carried this woman on his shoulder, forded the river and let her down on the other bank. The junior monk was very upset, but said nothing. The senior monk was silent. The senior monk said, “I left the woman a long time ago at the bank, however, you seem to be carrying her still.” He engaged the pragmatic method. The senior monk set aside the dogma that declared “no touching women” and I can imagine the sequences of thoughts he processed. ‘The rule says no touching women’ but the Three Pure Precepts tell me to do good. Leaving the woman in fear on the bank of the river, with the possibility she might drown trying to cross on her own would do nothing to alleviate suffering. Assisting her in crossing will have the consequence of alleviating some of her suffering and will become a lesson for the younger monk. Considering the possible karmic consequences I choose to carry her across. I choose an appropriate view of the situation, a view that reveals the probable concrete consequences. I choose practical application of the ‘rule’ rather than a dogmatic one. The aspect of pragmatism that arises in the parable is making practical decisions and taking practical actions in a unique situation. This requires a practitioner to set aside any dogma that declares “there is only one way” and respond to each unique situation in whatever manner will result in positive karmic consequences. To put it simply acting pragmatically is doing what is useful and productive in each moment. Buddhist philosophy and American Pragmatic philosophy places a high degree of importance on direct experience (experiential verification) rather than on theory, and it focuses is “what we can do right now to make things better”. In the West it is important that prevalent worldviews such as pragmatism be brought to the foreground of Buddhist philosophy so that parallels in approach can be recognized. At the core of the American psyche is the drive to “do what is best”. In Buddhism the same is true. The American psyche readily applies this to the self, “do what is best” . . . for me”. Most Americans, either through family, school or friends, arrive at the worldview that all things they do must benefit themselves in some way . . . even those actions taken to help others. This is why donors get their names in the paper, and gold medals for outstanding non-profit work are given out. In Buddhism this idea of positive self-development is the first steps on the Noble Path, later to become selfless acts performed for the benefit of all beings. This is pragmatism in action and thought. 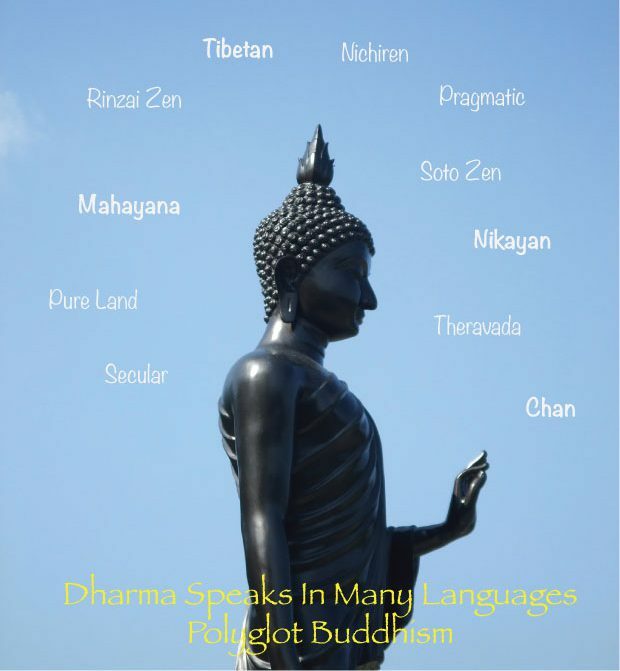 The story of the Buddha, and the teachings that followed his Awakening shows that the Buddha was pragmatist, he used skillful means, whatever practical method a situation called for to present the dharma and guide others on the Middle Path. The Eightfold Path is an example of the Buddha’s use of pragmatism. The Eightfold Path isn’t a dogmatic blueprint of what we must do in given situations, instead each of the eight are guidelines that we must engage as part of how we are, be mindful of our experiences when doing so, and then use that knowledge to determine if those actions were useful and practically valuable. What works in one situation may not work in a similar situation. Each time this is done a practitioner comes closer and closer to the arising of wisdom. Such is the challenge that a Universe of co-dependent arising presents us with. Whether a Buddhist practitioner looks to View, Intention, Speech, Action, Livelihood, Effort, Mindfulness, Concentration . . . it is the responsibility of the individual to make an honest assessment of the situation and determine the most practical response. We want to take the most useful and productive course that leads to human flourishing. This is skillful pragmatism. Does this mean we always make the right decision? Being human beings, no! And here is where pragmatism in the form of skillful means arises again. We shouldn’t berate ourselves for making the wrong choice . . . there is no sin, gilt or shame involved . . . instead we make another honest assessment of our actions and thoughts and DO BETTER NEXT TIME. The pragmatic method, both in thought or action requires a practitioner to be situational. There is practical value in developing an appropriate view of each situation and taking actions appropriate to the promotion of human flourishing. Whether one is ‘going around a squirrel’ or ‘carrying a woman across a river’ a Buddhist practitioner must always strive to take whatever action will have the most practical value, whatever action leads to the most positive causal consequences.